It has been some months since I have tried posting anything new to my blog. I have been lethargic and somewhat busy with my ongoing project(s). However, the recent earthquake in China has shaken me out of my stupor and taken me back to the haunting memories of the earth quake in Kashmir in 2005. You can read my posts about it here and here. It is said that a single picture speaks a thousand words. Look at these 50,000 words and see for yourself what shook me out of my stupor. In this time of need of our Chinese brothers and sisters, I extend my deepest condolences for the loss of life that they have experienced. We, as Pakistanis, will remember our Chinese friends in our prayers and good wishes. May the souls of those who suffered and lost their lives in this earthquake rest in peace. Amen. Relationships are turn asunder by death and injuries and times like these are the true test of human resilience. I am sure the Chinese nation will pull through the difficulties and make a new better path for themselves. Fortunately, the Chinese government has responded decisively and quickly without need of external prompting. This is extremely fortunate and speaks in itself for how much China has undergone a transformation for the better. In all, I would ask the Chinese people to remain steadfast and have patience for loved ones lost. Remember the fond memories and symbolize the dead with those memories. Once again, my deepest condolences for your losses and the destruction incurred due to this natural calamity. 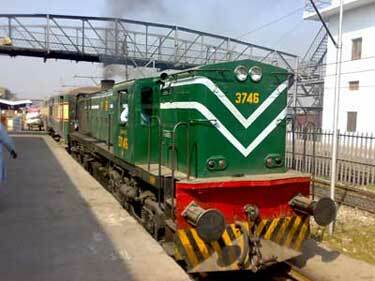 The above picture shows a train ready to start its journey. I got some drinks at the Railway Restaurant and the above switch board caught my eye. 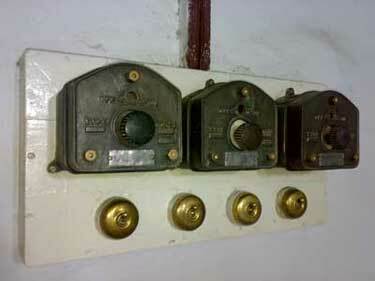 It surprised me that they are using such old switches and that they are still operational. It seems as if the British era relics have survived the many years of service (with maintenance and repair, of course). The issue of hijab riles many people and is considered an oppression by some. A news report recently came to my attention which provides yet more credence to the fact that the issue is not so much about it being unfair on the wearer than the society just being hesitant to adopt a change and accept it. This paranoia can be detrimental to a society and the values it adheres to. The news item is titled "More Muslim girls wear scarf in games". Miss Dewnya Bakri should be an inspiration for other Muslim girls and women who hesitate to wear hijab due to taunts and questions about it asked of them. She proves that where there is a will, there is a way for young Muslim women to be an active part of the society while not leaving their religious obligations at the side. No one can force a Muslim women to wear a hijab, but if it is indeed her choice to wear it, no one can stop her since it is her right except where it may cause her or those around her any harm. 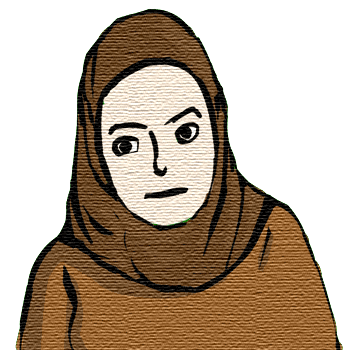 Considering the controversy of banning the hijab in some European countries and a few women losing their jobs in Britain, unless all religious items are banned (which would include crosses, the skull cap for both Muslim and Jewish men (Kippah)) it is discrimination if only Muslim women who want to wear hijab are stopped from doing so solely on the basis of other people feeling intimidated. In doing so, we ignore the wisdom of hijab. It covers the head and bosom of a woman. One may wonder exactly what function this serves. It basically enables a woman to be judged on the basis of her qualities other than her physical attributes which certain men seem so fond of doing. Let's face it, not all women are blonde hotties (as the term goes - no offence intended to blonde women). What are women, who lack the impressively dimensioned physical attributes to do while the others get all the attention? When we bring in the prevalent insecurity in women about how they look and what people think of them, this becomes all the more of a serious concern. Ultimately, a woman becomes an object rather than her own person who is intelligent, clever, witty and charming. Would a woman really want to be treated as an object rather than her own person?